Lantek has successfully brought its technology to our homes after its application in the manufacture of metal furniture and home appliances. Its groundbreaking technology is used by cutting-edge companies in this sector. Many firms have chosen Lantek’s software solutions in order to maximize the profitability of the design, nesting and sheet metal machining processes for building stoves, washers, dishwashers or ovens. Companies in this sector benefit from the research Lantek has conducted to develop software designed to compile data spanning the entire production process. The data charts the condition of the product manufactured, labor, materials, machinery and tools. Lantek provides control over the entire production process using a system updated with data validated in real time from the factory. This software not only offers options for selecting different machine tools and production facilities, but also allows users to communicate remotely and control machines in the factory. This solution offers to metal furniture and appliance manufacturing companies to accelerate production processes, making them more effective and streamlined. Companies that design, manufacture, and sell neutral and hot items for the hostelry and food sectors benefit from the Lantek Manager system, which simplifies and streamlines all production processes, optimizing costs and delivery deadlines as much as possible. This technology displays a factory’s workload and also provides a flexible way to modify the tasks assigned, thus optimizing the use of machines, operators, and subcontracting centers, among other aspects. One of its main advantages is that users can reserve materials for a specific project or prioritize certain tasks from a single office, thereby reducing product delivery times. Lantek software makes possible to produce modern furniture at competitive prices and with perfect finishes without sacrificing its design. 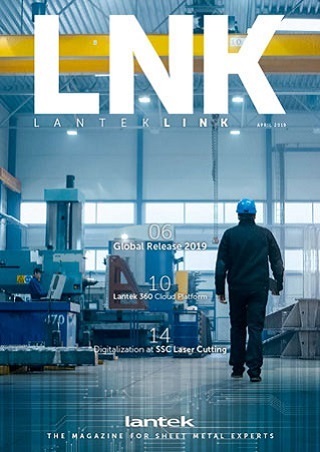 Companies that manufacture metal furniture and home appliances, some with 40 years of experience manufacturing kitchen appliances also benefit from the most advanced software system for sheet metal and heavy plate manufacturing with plasma cutters from Lantek.